My Happy Soundtrack- I’m gonna smile cause I deserve too – Straight from NY to Paradise in a Day!!! I wake up and it is another beautiful day in Honolulu. The sun is shining, I look over my balcony at the mountains going towards the Pali, and my day starts off with a smile. How could it not? I already know that I am alive, I feel healthy (well most of the time), and I have a lot to look forward to. 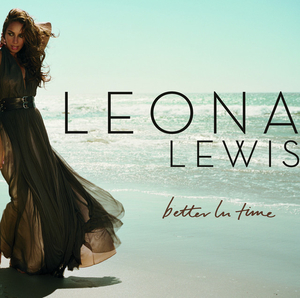 So each day I tell myself, “I’m gonna smile cause I deserve too”, as sung by Leona Lewis. Flashback to a few years ago. I remember a time when I didn’t smile as much. I would wake up in New York sad. Unhappy with my job, my personal life, nothing seemed to be where I needed it to be in life. Life for me was out of place. I would wonder, where did my happy go? During that time I had a sad soundtrack. You know that soundtrack we have for moments of self pity. Those times when we want to sit around feeling sorry for ourselves and just cry (or maybe I am the only one who has one of those). My sad soundtrack was a running playlist of songs on my ipod that I would play over and over again. I would go into a deeper feeling of self-pity each time I listened to these songs. The problem? The only person who knew I was sad was me! I would be sad to myself. So obviously the only person able to get me off the sad train to nowhere was me. In case you need a soundtrack for moments of brief sadness (keep them brief! ), I can help you out. I know a great list of songs that really fit the mood. As much as I listened to them, I could say in some strange way they did catapult me out of those moments of sadness. My advice to you: don’t stay on your pity pot too long, it us fine to sit on it sometimes. But, try not to do it too often, and bounce off of it as fast as you can. If you sit too long you may get stuck. Being happy is a whole lot easier than loathing in self-pity. My sad soundtrack was most used for those post breakup moments (of course, I’m a girl!) Those moments when love was lost, and I felt my world was about to come to a crashing halt, with no plan how I will get out of it. The more I listened to each song, I thought maybe it will put a stitch back in my heart one by one, but no it didn’t. Eventually only time did that. But my sad playlist did offer me some comfort while riding on the NY city subway! My Happy soundtrack is much better, it’s motivating, inspirational, and keeps me on my daily vote of confidence that, I am That Chick! It keeps me smiling, keeps me positive, and reminds me through moments of sadness, life always get’s so much better. What’s included on your Happy Soundtrack? *Positive energy, Positive thoughts, Positive experiences! Soul Mates: Is that for real? I just noticed I had way more songs in my Pain playlist than in my Movin’ On playlist. Gotta change that.